Ukkonen is a Finnish “artic-house” producer. Debut album The Isolated Rhythms Of.. was released on Uncharted Audio in 2012, and was met with considerable underground acclaim. Despite a self-declared “zero interest in dance music”, The Wire magazine called his work “a solution to the problem of dance music”. Second LP The Ancient Tonalities of… is a marked progression for an already prophetic talent. The record is built on two central themes: adulation and respect for influence and tradition, and a pressing desire to contribute something “new” to music. The record is in no way difficult; in its simplest form it’s a striking, purely structured collection of ambient techno and leftfield electronica. Yet after repeated listens the intensity and breadth of the creative vision is gripping; it’s an oceanic, enveloping work worthy of infinite relistens and contemplation. It is no co-incidence influence is both drawn from beyond the predictable, and from within it: composers Bartok, Messiaen, Einojuhani Rautavaara, Takemitsu are acknowledged alongside electronic totems Squarepusher and Aphex Twin; early vocal music and the Ars Nova period (Machaut, Perotin, de Vitry) beside household contemporary minimalist and modernist composers and rock classicists Pink Floyd and Jimi Hendrix. This catch-all extends to musical theory. Melodies are instant, yet among the techniques used are "mensuration canons" (one melody simultaneously played at different speeds by different voices to create it's own accompaniment); “isorhythms” (a fixed series of pitches run through a fixed rhythm at odds with the time signature); and “simultaneous tempos” (tracks utilising multiple tempos; some changing, some consistent). The record is built but not defined by these systems; the effect they have is simply of falling into the most lucid of intangible dreams. 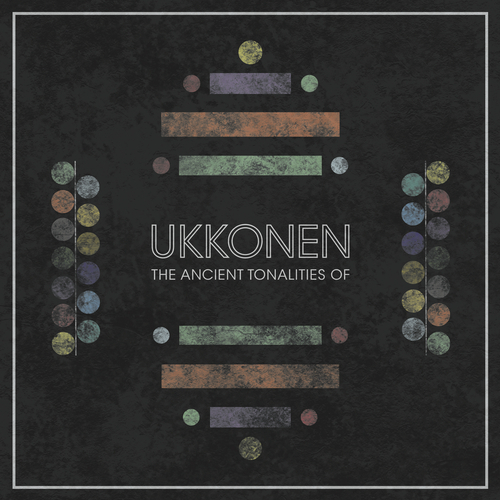 Unfortunately at this time we can't offer all the Ukkonen - The Ancient Tonalities Of… tracks as individual mp3s, as some of these tracks exceed the shops maximum (9mins) download length.